Brides.com, Borrowed & Blue, Special Events, and More! This week brings a whole new slew of fantastic client features, including Brides.com, Borrowed & Blue, Special Events, and so much more! Keep scrolling to check it all out below! 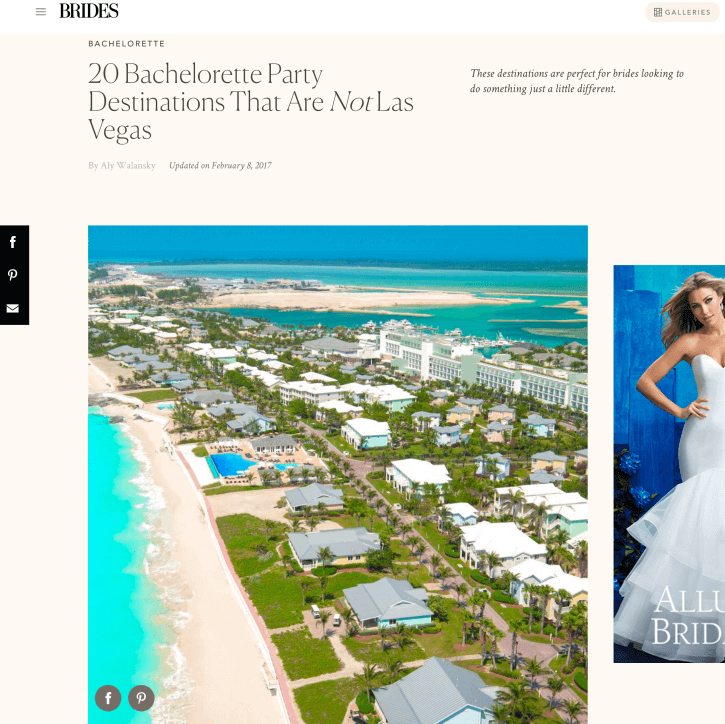 Destination Weddings Travel Group was featured on Brides.com with their article, 20 Bachelorette Party Destinations That Are Not Las Vegas. See the full article here. Be Photography was featured on Borrowed & Blue with their feature, Farm Nuptials in Harrisonburg. See the full feature here. Belladeux Event Design was featured on Special Events with their article, How Event Pros Can Stay Ahead of Big Trends. See the full article here. Taylor’d Events Group was featured on SheFinds with their feature, 6 Vow Mistakes Couples Make. See the full feature here. LadyMarry was featured on The Zoe Report with their article, 12 Apps That Will Transform Your 2017. See the full article here. 100 Candles was featured on Glamour & Grace with their feature, Handmade Mountain Wedding Inspiration. See the full feature here. Destination Weddings Travel Group was featured on AllSeated with their feature, 2017 Destination Wedding Trends. See the full feature here. Don Mears Photography was featured on PartySlate with their feature, Meaghan & Eric, Charlottesville, Va. See the full feature here.